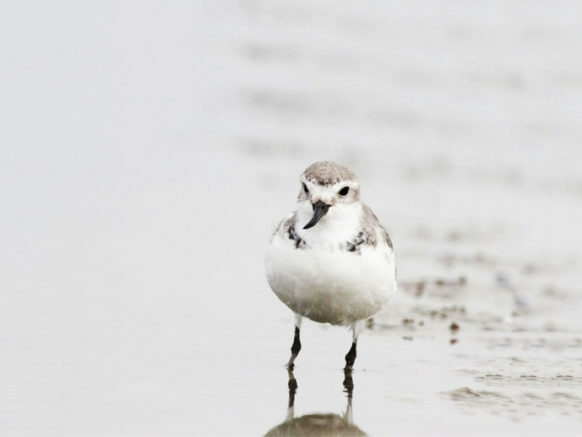 The wrybill uses its laterally curved bill to reach insect larvae under rounded riverbed stones. I was intrigued by new research showing that some cells in nature have a left or right orientation and, when disrupted, are able to repair themselves. The Quanta Magazine article reposted at Wired is long and technical. I’m hoping to capture the basics here. Tim Vernimmen writes, “In 2009, after she was diagnosed with stage 3 breast cancer, Ann Ramsdell began to search the scientific literature to see if someone with her diagnosis could make a full recovery. Ramsdell, a developmental biologist at the University of South Carolina, soon found something strange: The odds of recovery differed for women who had cancer in the left breast versus the right. Even more surprisingly, she found research suggesting that women with asymmetric breast tissue are more likely to develop cancer. “In her early years as a scientist, Ramsdell never gave asymmetry much thought. But … after her recovery, Ramsdell decided … to start looking for asymmetry in the mammary glands of mammals. “Research from [the lab of Michael Levin, a biologist at Tufts University] suggests that communication among cells may be an under-explored factor in the development of asymmetry. “The cellular skeleton also directs the transport of specialized proteins to the cell surface, Levin said. Some of these allow cells to communicate by exchanging electrical charges. This electrical communication, his research suggests, may direct the movements of cells as well as how the cells express their genes. “The apparent ability of developing organisms to detect and correct their own shape fuels Levin’s belief that self-repair might one day be an option for humans as well. The original story appeared in Quanta Magazine. Check the Wired reprint here. 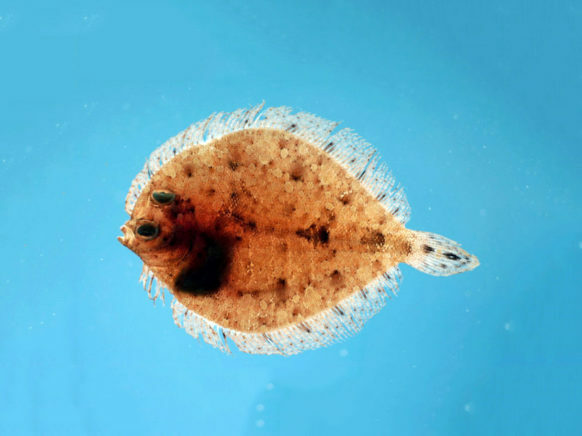 The twospot flounder lies on the seafloor on its right side, with both eyes on its left side. Our friend Mika is back in Hokkaido these days, after several years in New York working in restaurants and perfecting her “house” dancing. But every once in a while she ventures out to help on a street art project. Here is her friend Florence Blanchard’s mural for CBM Network (Crossing Biological Membranes) at the University of Sheffield in England. At her WordPress site, Florence explains what the art represents, “I am delighted to present my newest mural here – a collaboration with CBMNet at the University Of Sheffield, in conjunction with Festival Of The Mind 2016 / Fear of the Unseen: Engineering Good Bacteria. “The ‘Crossing Biological Membranes Network’ is composed of scientists working to understand the mechanisms by which substances are transported into, within, and out of cells. Their ultimate aim is to produce knowledge which will enable the development of new technologies in the Industrial Biotechnology and Bioenergy sector (eg: producing biofuels using E coli bacteria). “My role in this collaboration has been to translate the CBMNet area of work into a large outdoor mural located within the university campus. For this occasion I have presented my interpretation of a detail of a cell membrane as seen under an electron microscope, having undergone a cryofracture. Check out the WordPress post. With every new discovery of fossils, it seems, the first appearance of life on Earth is earlier. There is always controversy, and your belief about the earliest date may depend on just how hellish you think the Hadean period was, when asteroids bombarded the planet and life probably would have been impossible. Nicholas Wade writes at the New York Times, “Geologists have discovered in Greenland evidence for ancient life in rocks that are 3.7 billion years old. The find, if confirmed, would make these fossils the oldest on Earth and may change scientific understanding of the origins of life. “Certain features ‘are fairly credible hallmarks of microbial activity,’ Abigail C. Allwood of Caltech’s Jet Propulsion Laboratory wrote in a commentary accompanying the Nature article [by Allen P. Nutman et al.]. They have a few features that make them ‘interesting and possibly biological,’ she added in an email. “Dr. Nutman argues that life must therefore have originated even earlier, probably in the late Hadean stage of Earth’s history, which lasted from 4.65 billion years ago — when the planet formed from debris in orbit around the sun — to 4 billion years ago. Weigh in on the controversy here. 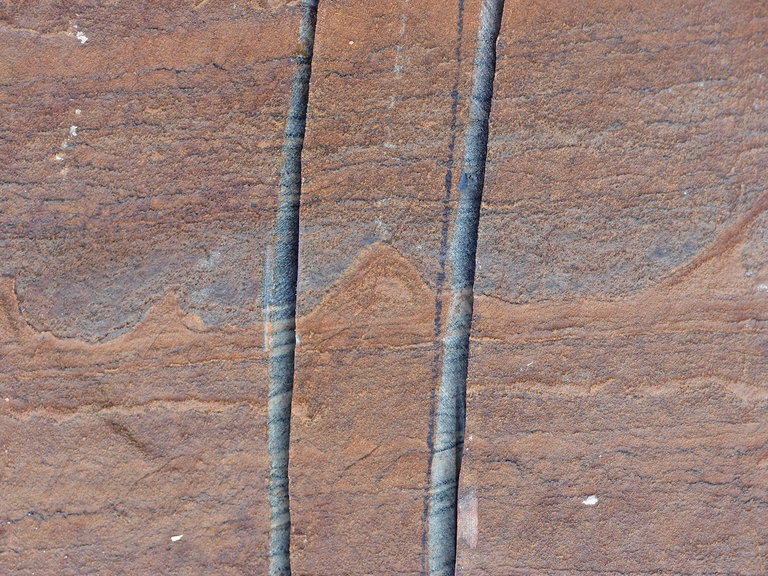 Stromatolites from Greenland may be evidence of the oldest life on earth. It’s amazing what you can learn from DNA. Recently, scientists have been collecting insights from camel DNA about how camel ancestors were used on ancient trade routes. 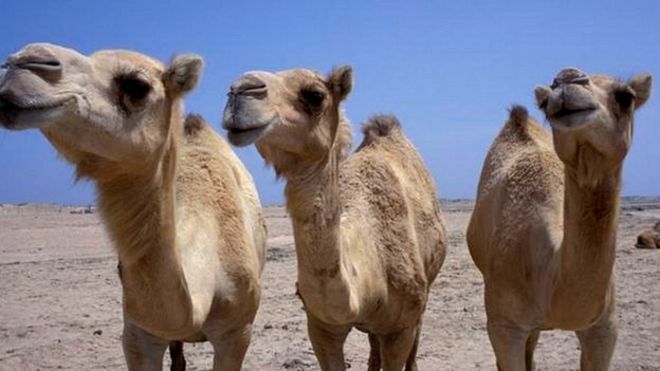 Victoria Gill writes at the BBC, “Scientists examined DNA samples from more than 1,000 one-humped camels. Despite populations being hundreds of miles apart, they were genetically very similar. Scientists explained that centuries of cross-continental trade had led to this ‘blurring’ of genetics. “The findings are published in the Proceedings of the National Academy of Sciences. “One of the team, Prof Olivier Hanotte, from Nottingham University, explained that what made the dromedary so biologically fascinating was its close link to human history. ” ‘People would travel hundreds of miles with their camels carrying all their precious goods. And when they reached the Mediterranean, the animals would be exhausted. “This caused centuries of genetic ‘shuffling’, making dromedaries that are separated by entire continents remarkably similar. More at the BBC website, here. I’m hearing more and more these days about “good bacteria,” including in a song by singer-composer Will McMillan on the friendly bacteria we humans carry around. Now, it seems, bacteria found in soil may help to save amphibians from dangerous fungal epidemics. Public Radio International’s environmental news program, Living on Earth, has the story. “Around the world, fungal diseases have been killing millions of frogs and bats and snakes. And a newly emerging disease in salamanders in Europe is scaring biologists here, so the US Fish and Wildlife Service has introduced a ban on their import to try to protect amphibians in the US. 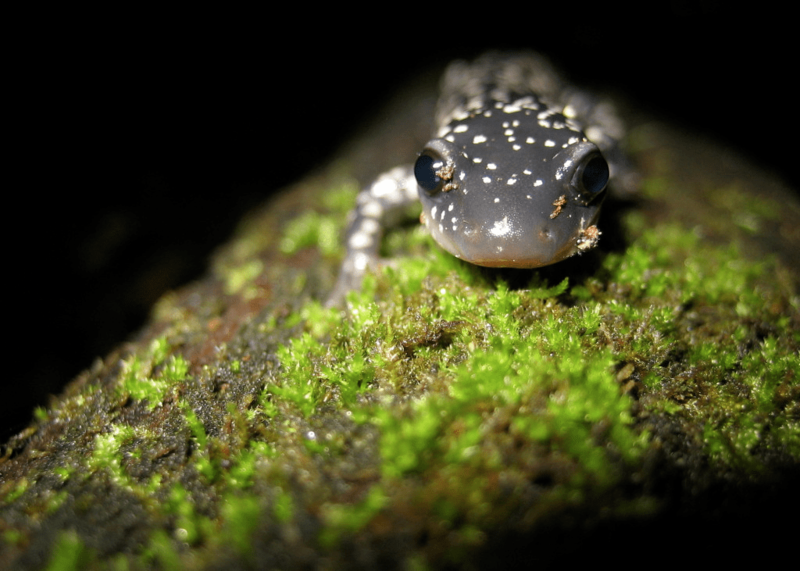 “But now scientists see some hope in soil bacteria that get onto the salamanders and frogs and apparently protect them. Doug Woodhams is an assistant professor of biology at UMass Boston, who’s been working with amphibians in Panama – and he explained what his team has found to Living on Earth’s Helen Palmer. “WOODHAMS: Some of the amphibians have beneficial bacteria that live on their skin and these have antifungal properties. “PALMER: This is kind of like having good bacteria in your gut, for instance, that stop you from getting sick. … Is there any evidence that good bacteria actually work against devastating funguses? More on the science here. The Appalachian Mountains are home to this Cow Knob Salamander, Plethodon punctatus, from George Washington National Forest, Virginia. I like win-win stories like this one from National Public Radio. It’s about a new crop with a lot of monetary potential — and distinct advantages for the environment. “It doesn’t require any land or fertilizer. Farming it improves the environment, and it can be used in a number of ways. So what is this miracle cash crop of the future? It’s seaweed. “Many plants and animals cannot survive when there is too much nitrogen in the water, but seaweed is able to ‘capture’ the nitrogen, as well as contaminants in the water. “A United Nations report says that nearly 16 million tons of seaweed were farmed in 2008 — most of it in Asia. 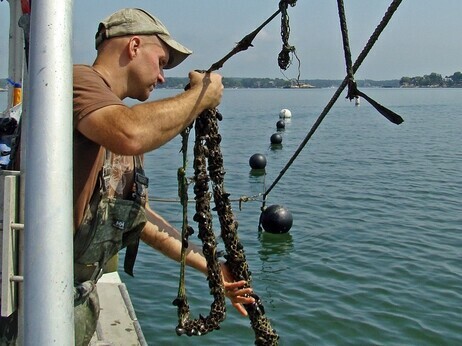 Yarish helped a company called Ocean Approved start the United States’ first open-water kelp farm in the Gulf of Maine in 2006 … Now, he’s helping to create a seaweed farm off the coast of Connecticut. Craig LeMoult has the whole story here at NPR, where you also can listen to the audio. Oyster fisherman Bren Smith on his boat. 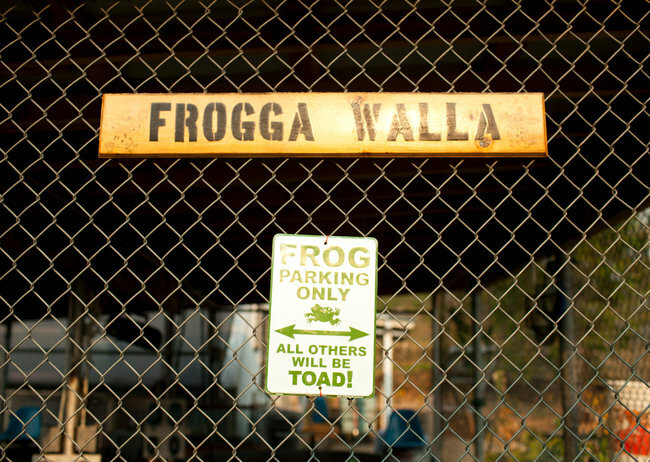 Kirk Johnson writes in today’s NY Times about efforts to make time in prison more constructive, both in terms of sustainable practices that control prison costs and in terms of inmate improvement.​ The endangered frog program in Oregon, which requires perfect behavior from participating prisoners, is especially intriguing. Johnson writes, “Mat Henson, 25, serving a four-and-a-half-year sentence for robbery and assault, and his research partner, Taylor Davis, 29, who landed in the Cedar Creek Corrections Center here in central Washington for stealing cars, raised about 250 Oregon spotted frogs in the prison yard this summer. “The program’s broader goal of bringing nature and sustainable practices to prisons is echoed across the nation as states seek ways to run prisons more cost-effectively. “Utilitarian practicality led Wisconsin in 2008 to begin having inmates grow much of their own food. And federal energy rules are pushing the goal of zero-net energy use in federal prisons by 2030. “There may be some intangible benefits for inmates who are being exposed to the scientific process, many of them for the first time, said Carri LeRoy, a professor of ecology at Evergreen State College in Olympia, and co-director of the Sustainability in Prisons project. “Science, she said, is about procedural order, point A to point B, with every step measured and marked for others to check and follow. And when the focus of that work is a creature that undergoes a profound metamorphosis from egg to tadpole to adult, the lesson is also one about the possibilities of change. In a prison, Professor LeRoy said, that is a big deal.